What Is All SPD iMEi Repair/Write Tool? 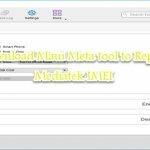 All SPD iMEi Repair/Write Tool is a small windows utility which allow you to write iMEi on all SPD based android phones and tablets. By using this amazing tool you can easily write imei on your android device within a minute. Its very easy to use. No need of any professional skills to use this tool. 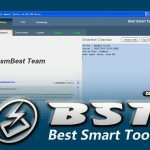 Anyone can download the tool from the link and use it easily without having any deep knowledge about it. Just click on the link provided below to All SPD iMEi Repair/Write Tool latest version for free. Today in this article we have managed the direct download link of All SPD iMEi Repair/Write Tool latest version. If you want to download the latest version of this tool, just click on the link given at the bottom.